Once Upon a Twilight! 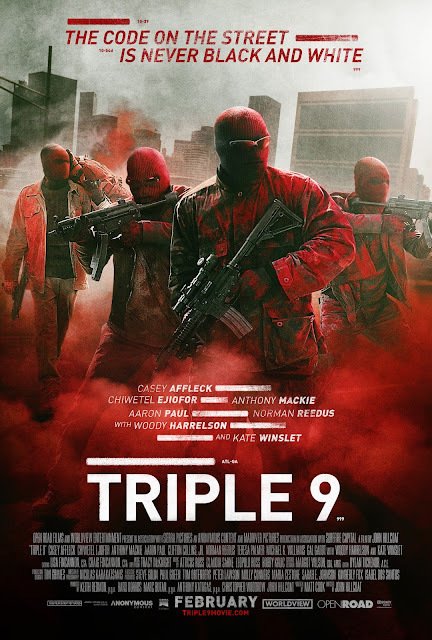 : #Tampa Grab Passes to #Triple9 @ AMC Veterans 2/23! #Tampa Grab Passes to #Triple9 @ AMC Veterans 2/23! In TRIPLE 9, a crew of dirty cops is blackmailed by the Russian mob to execute a virtually impossible heist. The only way to pull it off is to manufacture a 999, police code for "officer down". Their plan is turned upside down when the unsuspecting rookie they set up to die foils the attack, triggering a breakneck, action-packed finale filled with double-crosses, greed and revenge.